An excellent book full of good sense and practical advice on how to achieve the real, spontaneous community that is so often lacking in today’s churches. I was particularly challenged by the second of the three parts: Connecting to a Common Place, and by the author’s clear identification of the sociological environment, particularly in suburbia, that makes neighbourliness and community so difficult, if not impossible. 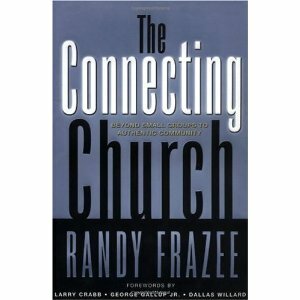 If a church could implement just some of Mr. Frazee’s ideas, it would be well on the way to breaking down the rampant isolationism and individualism that is so pervasive, and hopefully replacing it with the genuine friendship, openness and warmth that will help to enrich our lives.